The largest and most dominant social network is planning to give users more control over their own news feed. Last week, Facebook rolled out a new feature that allows users to identify people and pages that they’d like to see first in their news feed. 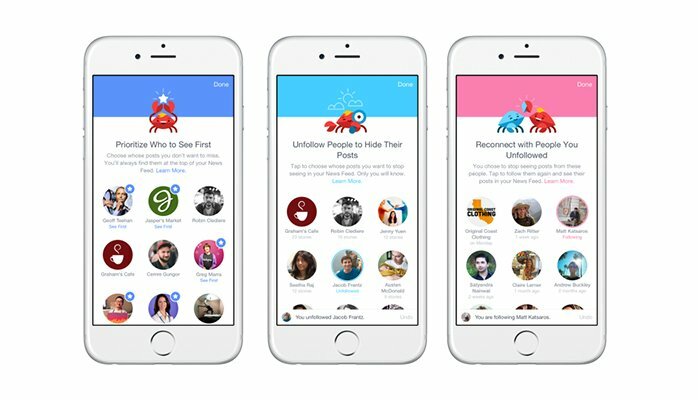 “To help prioritize stories, and make sure you don’t miss posts from particular friends and Pages, you can now select which friends and Pages you would like to see at the top of your News Feed,” the company said in a blog post. This new feature is already available in iOS, but the social network promises to roll it out to Android and desktop soon. The move gives the site’s over 1 billion users more control over the content that they see when they log in to the site. Before this enhancement, what people see in their news feed is determined by Facebook’s mysterious algorithm, which surfaces content it believes to be most engaging for you. While Facebook’s algorithm is pretty darn smart—it will start showing more content from a friend if you regularly “like” his or her status, for instance—this move gives users even more opportunity to dictate what they see in the news feed. It’s another step to make sure that Facebook users remain engaged when they’re on the site. As a Facebook super-user, I am thrilled about this new change. Even if I check Facebook multiple times a day, I still miss a lot of new content. More importantly, I tend to miss updates from people (and some company pages) I truly care about. The volume of content on the site is massive (as of 2013, Facebook users are uploading 350 million new photos each day). If you have 500+ friends and following a few dozens of pages, missing content (even popular ones) is easy. With this new feature, I am significantly less likely to miss updates from my favourite people and pages. I am less likely to miss my sister’s updates about my nephews, for instance, because I could choose to explicitly prioritize her new posts. For brands and marketers, however, this new move is not necessarily good news. While people can choose to add as many people and pages as possible (as far as I can tell), I doubt many people would add many brands to their list—no matter how much they love that company. I mean, let’s face it: people go to Facebook to keep up with their friends and family, not to keep up with brands. Your company page will likely see less exposure now since your updates will appear below pages and friends that users choose to prioritize. Organic reach will take a beating again. 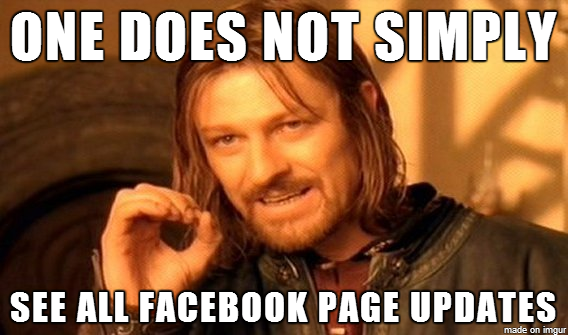 Of course, Facebook probably don’t care much if this move is bad for company pages. The company’s ad revenue is at an all time-high ($3.32 billion in the first quarter of 2015, a 46% increase from the same quarter last year year-over-year), suggesting that the company’s aggressive attack on organic reach is proving to be a good business move. Brands are willing to pay to be seen in people’s news feed, and Facebook knows it. This new feature is another reminder for marketers that organic reach on Facebook is virtually dead. If you’re relying solely on organic efforts to reach your Facebook audience, you’re not maximizing your efforts on the site. You need to allocate some money for paid advertising in your social media budget. To be fair, Facebook has also been busy rolling out features for brands and advertisers. The company’s foray into native videos has been a success—many companies are seeing higher reach and engagement because of that new feature. The site’s carousel ad format, introduced last year, already drives 30 to 50% lower cost-per-conversion, according to Facebook. In the end, brands gain more when Facebook focuses on its users. That’s because when users are engaged, they’re more likely to log on the site, check out brands and click ads. And as long as users are engaged, Facebook will continue to have deep data that brands can leverage to create more engaging and relevant ads on the site. When users get what they want, Facebook wins, and so do brands. That’s a good thing.